Jason Brennan’s lengthy and provocative essay on democracy, is a follow up to his book and it challenges the foundational wisdom of our time, that democracy is good and moral. I hesitate to spoil the book so early at this stage, but democracy according to Dr Brennan, is inherently flawed, and that’s not because people are stupid, or misinformed, but they lack the incentive to know. In simpler terms, this data rich book shows that people who vote, take their voting rights for granted, and essentially cheer their side or team, without understanding the nuances of such momentous decision making, which affects everyone’s lives. Everyone under the sun opines on politics and economics, unlike neurosurgery and astronomy; even though politics and economics are also highly specialised areas which require knowledge and consideration. Brennan looks at data collected over a sixty year time-span, which suggests that most of people who take part in political process wouldn’t pass a University Politics or Economics 101 course. Nor are they even interested in understanding or knowing how basic taxation, demand and supply, foreign policy or parliamentary process and governance works. This criticism of democracy is not new, yet it remains provocative. And it is why it is essential that there should be a discussion. To clear up a few things, Brennan is not against democracy, per se. He still is advocating that people take part in political decision making, which is in essence, democracy. But he is interested in putting qualifiers on participation. Brennan divides people into three categories, the Hobbits, the Hooligans, and the Vulcans. Hobbits are those who don’t understand, nor have any interest in political process or economics. Hooligans have more knowledge of the process, but tend to be highly opinionated and biased. Vulcans on the other hand, are actually knowledgeable about the issues, and are nuanced in their use of their critical faculties, and are also capable of forming an opinion based on a rational judgment of the issues present. Needless to say, the last category isn’t representative or reflective of how real life is, Brennan says; if everyone voted based on their rationality, Brexit wouldn’t have happened. Brennan therefore advocates what he calls “Epistocracy”, translated in crude terms, this is rule by the wise, wherein people with more knowledge get more votes. Democracy is not a static concept, it is a constantly mutating, evolving phenomenon. Human society essentially evolved from Greek city states and direct democracy to the modern parliamentary or presidential democracy and rule of law, not because someone, one morning had a fine idea, but because society became more complex. When Thucydides was charting the history of the Peloponnesian War, no one had to worry about the declining return of traditional energy, or decide on why and how Thorium is best suited to replace them, while cutting down on the radioactive nature of other nuclear fuel like Uranium. There’s a reason why representative democracy historically has been so successful and formed the pinnacle of human decision making process; because it is dependent on the division and delegation of expertise. We choose people to decide on behalf of us, but in reality even they don’t really decide. They debate, they ask for expert opinions, from bureaucrats, from officers, from experts and academics, who for example, know the difference between Kurds and Quds; who understand why certain fruits have been genetically modified for centuries — and that’s the reason why watermelons don’t have seeds in them. They also check public opinion by reading news and opinions of journalists, journalists who in turn do their research and write up the pros and cons of certain decisions. After engaging in this process, they decide at the Parliament or Congress, on what’s the best course of action. At least that’s how the system is supposed to work. Unfortunately all of that has changed since the advent of social media and internet. Respect for expertise has died. Freelance bloggers without any literacy in economics opine about Brexit. Communications graduates write about what they feel regarding the Burkini ban without understanding the geopolitics of Europe or the unique nature of French secularism. In a world where information has exploded, the lines between activism, advocacy and academia have become blurred, and knowledge has become ghetto-ised. Perhaps the most ironic, paradoxical effect of it all, is an effect of “hyperdemocracy” which has had a contradictory effect on information itself. Information is not vetted or checked. Which leads to groups within societies becoming cocooned within their own echo-chambers and confirmation biases. One can see this on social media — where a conspiracy theory from websites like GlobalResearchCA or Infowars, gets shared more than a peer-reviewed article from International Security Journal — thereby influencing public opinion in an out-sized fashion. And even when a scholarly article of a peer-reviewed journal is shared, the complexity of the issue or its conceptual jargon can make it difficult for readers to understand or process it anyway. Scholarly work will rarely have the simplistic viral effect of blog posts, and almost never possess the same reach and influence. In a way, this hyperdemocracy is leading us towards the bygone days of direct democracy, simplifying and providing a binary good or bad answer to every complex issue, even where none really exists. It is throwing us back to a system from which we have already evolved. The Internet and social media can be, in certain circumstances, regressive. The second question is on the morality of democracy. In the West, we have this idea that democracy is the most suited form of governance. However, the global order on which this understanding is based, is relatively new and short, since the collapse of the Soviet Union. It is also by no means inviolable, and from the current trends, it is well under siege from forces of politics and economics, and not to mention certain ideas, which are antithetical to western liberal democracy, from the left as well as from the right. But the question remains, is democracy really the answer to everything? As a social scientist, here’s a simple thought experiment. Imagine Putin’s Russia, arguably a kleptocracy with a corrupt and hierarchical governing system. What if, tomorrow Putin dies without a clear successor and the forces of nationalistic rhetoric are unleashed? Power begs to be balanced and abhors a vacuum as theories of Neorealism dictate. Imagine all the liberal or moderate candidates then fail to win, and people vote in a highly revanchist individual. Would we still feel democracy was good, or better than Putinism? I can assure you that we wouldn’t. We didn’t feel comfortable in the West when Muslim Brotherhood won in Egypt as a result of a perfectly legal and democratic vote, and we have grown ambivalent about Assad regardless of what liberal interventionists are moaning about. The reason is simple. Somehow, when we have the luxury of being in a liberal western democracy, we fail to comprehend the cultural, historical and structural difference in different societies, and underestimate and neglect the stabilizing influence individual autocrats and regional hegemons have on global order. Brennan’s central thesis, raises these uncomfortable questions. The debate is of course far from over. Even if we accept Brennan’s premise, what is to be done? Should we then have a choice between illiberal democracy and undemocratic liberalism? Should we try to control its spread? Should we finally understand that spreading democracy is not justifiable nor desirable when it comes to foreign policy? Should the elites rise up in revenge, and ignore the “rabid ignorant angry” masses? Even if we agree that Epistocracy is the future, what mechanism adds more weight to a particular person’s vote? To put it simply, who decides who is “knowledgeable”? The entire idea of democracy is predicated on two essential assumptions, that humans will value knowledge, and humans will decide on the basis of rationality. But education is by no means a guarantor of real wisdom, rationality, or good decision making. One look at the post-modernist scholarship, for example can tell us that even peer-reviewed scholars are not exactly “wise,” for lack of a better word. According to Brennan’s criteria however most of them will be eligible to vote, and some of them even vote more than others. Most of them will also be extremely biased, unscientific and irrational (going by their sample scholarship). From my humble perspective, this is a bigger threat than direct democracy. Brennan is arguing that voting should be compartmentalized depending on knowledge, he never defines on what knowledge is, or what influences it. Yes, modern democracy is flawed, and it needs to evolve with time. There is no doubt about it, and Brennan’s contribution is important in the regard that it raises uncomfortable questions. But the answer to that is not curtailing democratic rights. The answer to that is fighting the explosion of information with quality control. And that includes academics engaging in quality control as well. Forty years of postmodernist and social constructivist academe has resulted in an unscientific “post-fact” world where everything is deconstructed and disputed according to fashionable narratives. That, coupled with information overdrive and social media echo-chambers is presenting a real challenge to our previously taken-for-granted way of life. The answer to this challenge is not to put qualifiers on democratic participation, but rather fight false narratives with objective facts. And this should start first from our academic journals, universities and news organizations. The supposed bastions of knowledge and Episteme. Sumantra Maitra is a foreign affairs correspondent and doctoral researcher at the University of Nottingham, UK. You can find him on Twitter @MrMaitra. Anyone who thinks that democracy and politics is solely about facts ignores how facts are weighed in the light of values. In many democracies people vote for parties because that party’s values overlap with their personal ones. Similarly many political and economic positions are adopted on the basis of what *might* happen in the future. Facts often cannot be established in advance of events. For these reasons a selection of wise people shouldn’t be ’empowered’ on the truth of the facts they ‘know’. 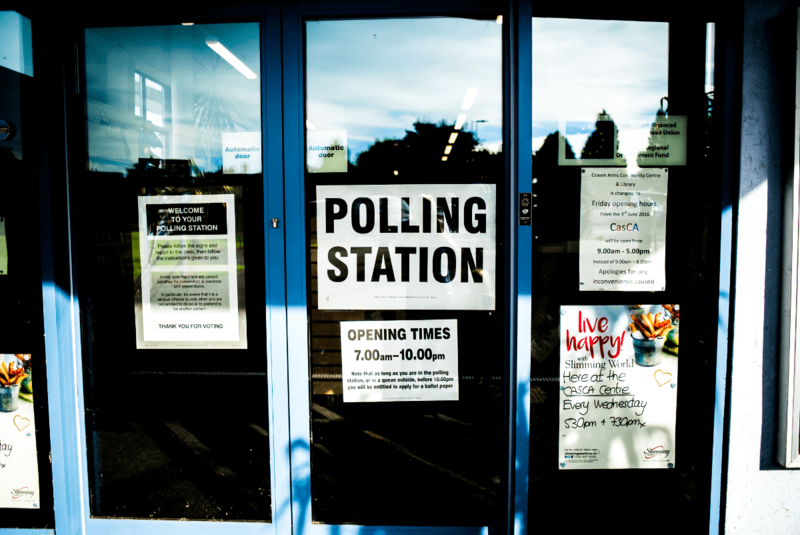 Ordinary people voting (in an election or referendum) are not assessing facts but communicating attitudes, and it is attitudes that guide future actions. As a consequence anyone (e.g. Jason Brennan) that argues that ‘Brexit is an objectively bad choice’ is just dressing up their own values in a false rationality. It is simply too early to tell whether or not Brexit is a good or bad thing in general. It’ll take decades to work that out (if indeed it can be done at all) once historians gain the impersonal perspective of ‘long ago’. In an effort to understand the Trump candidacy in this country I am reading “The White Working Class Today.” The author appears to believe that this group is not one massive ignorant or stupid group of people. Many do have what they consider a rational basis for this support. Although I may disagree I do fully agree with one of your statements; people are not stupid or misinformed but lack the incentive to know. Great statement and excellent analysis. illiberal elites in the true hate poor people of any strains, they are pure sociopaths with some exceptions namely in the artistic leftoid elites, people who tend to lack in some basic logical skills but it’s not PURE evil. It needs more. Either paternalism, or the basic assumption of positive rights (redistribution). And it can’t shake the rule of the stronger. Might doesn’t necessarily make right. However, it is necessary for any law. Nothing but might can make law. I laugh at that. Economists have no literacy in economics either which makes them about as literate as bloggers. Excellent point. One of the advantages of the “information revolution” is how it gives us the tools to quickly evaluate what the experts know, or claim to know. All too often they don’t know very much at all. The issue of Brexit, as addressed in the article, is quite telling here. It’s true that a lot of people voted without considering the implications of their vote; hence the retrospective googling which Brennan talks about. But it’s also true that many of the “experts” (professional economists, large-scale employers, academics, and seasoned politicians) made predictions which were proven wrong by the events. We have a phalanx of climate change warriors ie Tim Flannery making claims that rarely if ever live up to reality, yet it never slows down or accepts errors. Are we in the Western world losing our ability to fine detail science and show some humility? I read somewhere that over 75% of medicinal science over the last 10 years has been proven to be of no value whatsoever. Indeed. Just because someone is an ‘expert’ doesn’t mean to say that their comments aren’t motivated by self interest. This applies to both Leave and Remain – but Remain came across as a one note campaign (Project Fear) and this was interpreted by many as self interest in an ‘expert mask’. For democracy to thrive I suggest that 2 things have to be included in the population. 1. A basic level of honesty in at least 50% of the population. 2. A desire for improvement and deep respect for the society we live in. If I am correct I wonder where to from here? The Western world has a large percentage of our population who are dishonest and their numbers seem to be growing. We have many left wingers who dislike our society and want to replace it with a destructive version of ‘progress’ which encompasses turning back from the enlightenment and our quality of life for a moving feast of minority concerns, open borders and a, changing every day, list of what is acceptable and what is not! I’m reminded of Wisdom of Crowds: if you take the opinion of a large number of unconnected people about an issue, each with their own information – some conventional experts, some with this gut instinct or sideways view – and if you can set all these opinions in order, then the middle one is going to be close to the optimum. You need both the experts and the crackpots: it doesn’t work without the opinion of the conventionally uninformed voter. It works for guessing the weight of the cow. It may work in referenda, where the median vote is going to fall either in the Yes block or the No block, but the difficult part is keeping all the opinions separate. As soon as the idiots are shamed out of their own opinions by the experts, the phenomenon collapses. I think this part of democracy is being lost in a BS world where the average person has no value and the elite or the over educated are the only ones who should be listened to. Hillary Clinton lifted the lid on this canker by claiming half of Trumps supporters are ‘deplorable’. Democracy supposedly mean individual responsability or individual emancipation. But most people don’t seems to be emotionally mature or minimally wise enough to be self-sufficient in the art of thinking/judgment/action… so if most of humans are followers specially in the macro-social domestication-scenarios, democracy will become a ”dictatorship of the followers” AND usually followers (or what i also like to define ”workers”) tend to not be a good thinkers even the basic of logical thinking most of humans tend to have, it’s not enough. magical thinking vulnerabilities or black holes in the inner-logical — fluid thinking seems a universal marker of the mental domestication/natural subordination if domestication is not exactly the end of instinct but the amalgation of it, just like a ”docile instinct”. humans tend to be this inner conflict between instinct, reason and domestication and generally and sadly seems a tiny fraction of humankind who are wise enough to give exponentially/constantly correct judgments or in other words, real emotionally AND cognitively mature, using their instinct, domestication and reason in the best ways possible. Paradoxically the human creativity has been greatly responsible for ”our” collective vulnerabilities. Creativity save us from a direct confront with natural world and its absolute unemotional rules. in other hand make us too much vulnerable and progressively dependent from ”our” inventions. most people are followers because normalcy also tend to mean ”similarity”. So people tend to act similarly also because they tend to be similar, simple like that. just like quasi-mental clones. cultures are external and adapted ”pseudo- schizophrenia’…. different than biological/inner schizophrenia and today leftism is the absurdly bad use of philosophy or pseudo-philosophy, a kind of ”philosophical hallucination” or ”carpe diem syndrome”. and most of bad uses of philosophy tend to result in ”religions” or ”ideologies”, just a different names to the same en masse hypnosis inducement.